The Miami-Dade Expressway Authority will return $2.2 million, nearly one-third of tolls paid from Jan. 1 to June 30, to drivers who belong to its cash-back program, it announced last week. The first-ever rebate checks, which could reach $75, will be mailed in December. 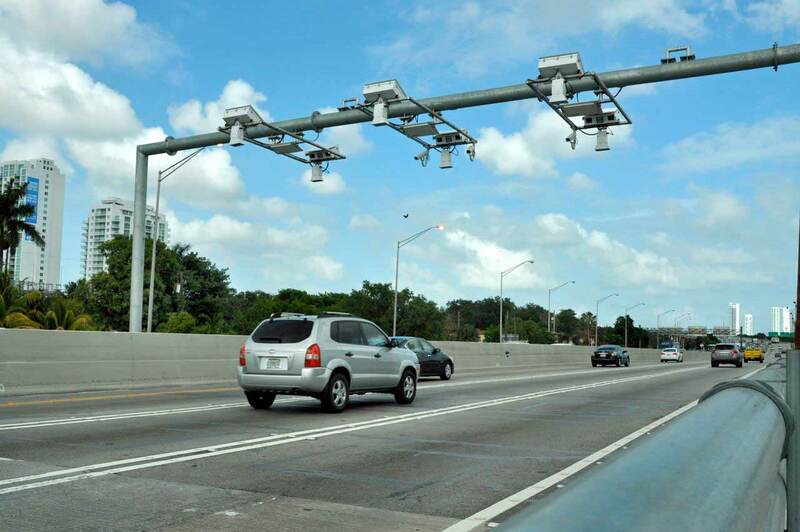 To be eligible for what the authority says is the first rebate program of its kind in the US, drivers must be SunPass customers, drive a two-axle vehicle, pay a minimum of $100 in tolls on authority roadways annually and have their transponders registered. The program had closed to new applicants in April. In June, the authority reopened it until Aug. 31. During that time, about 50,000 added drivers registered. The authority had come under criticism because last year it installed toll-taking lasers on gantries along the entire length of its five expressways to capture more tolls. Before that, drivers could enter and exit at strategic points to avoid tolls and only 25% of drivers actually paid them, Mr. Rodriguez has said. The toll-rebate probate program wasn’t supposed to launch until fiscal 2016, but revenues began climbing after the gantry installation was complete, said Mario Diaz, authority spokesperson. Authority directors decided to roll it out in 2015 and make the rebate retroactive to January. “They said, ‘We’ve become more efficient, and we’re making more money, so let’s give some back.’ If everything stays the same, the rebate could be $4.4 million next year, because it will be for the full 12 months,” he said. At the end of each fiscal year, the authority’s Budget and Finance Committee evaluates how well the expressway system has done, after it has satisfied its obligations, including operating expenses and debt repayments. It then decides the percentage of the dividend. This is all nice. however, ever since the implementation of tolls on the 836, the streets have become saturated with additional traffic. People not willing to pay the tolls have taken to the streets and now there is a slow moving traffic at all hours of the day. I used to take me 25 min to get to work, at 630 pm, now it’s taking me 35 to 40 mins. There is an effect on the traffic system, when you place or increase tolls, those not willing will use the streets, this increases traffic, causes much more noise pollution for near by neighborhoods, places pedestrians at greater risk and impedes movement of first responders. OH, by the way, 37,000 drives seems too few regarding the rebate. The report about MDX dividend program, to be paid to 37,700 toll users at the end of 2015, is not correct because it’s not 30% of the toll generated revenues. It’s nice that toll users who join the program received some money back. Please check your source within MDX and please fix.